Holly Harris, Executive Director of the Justice Action Network, provides remarks. 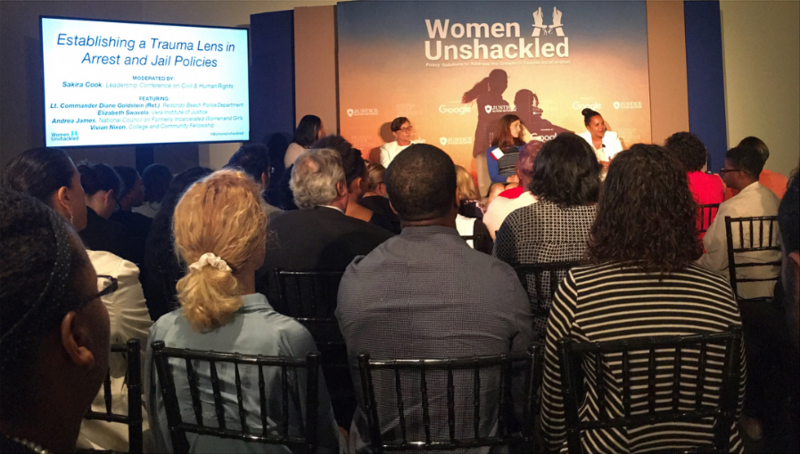 Over 500 attendees, government officials, and industry experts joined the Justice Action Network Tuesday at the Newseum in Washington, DC for the Women Unshackled Forum. 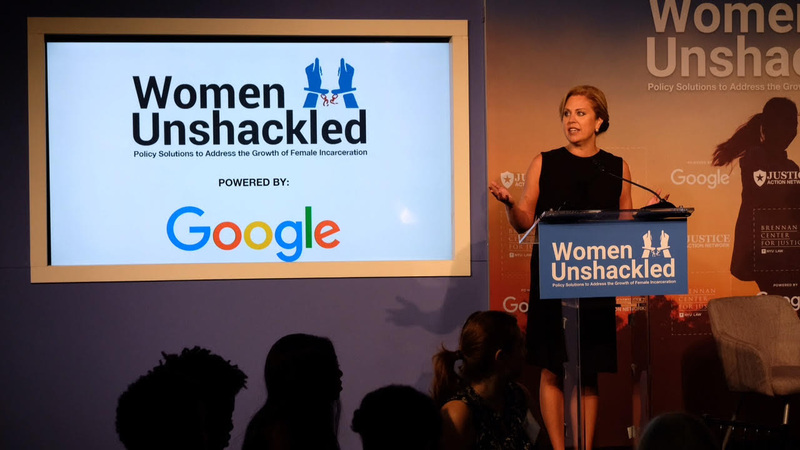 Powered by Google and the Brennan Center and Coalition for Public Safety, the forum focused on policy solutions to combat the imploding number of women entering the criminal justice system. 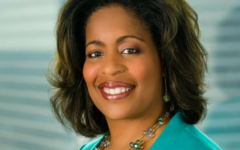 “The female prison population is growing at a higher rate than any other group, but you wouldn’t know it because the issue doesn’t get the attention it deserves,” said Holly Harris, Executive Director of the Justice Action Network. 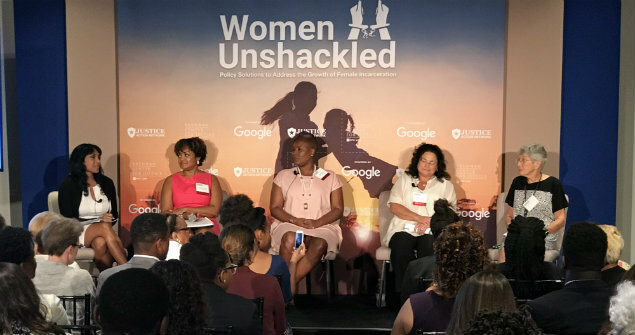 Despite being one of the fastest-growing segments of incarcerated citizens, women, their stories, and the effects of their incarcerations have on their families have been largely left out of the conversation. 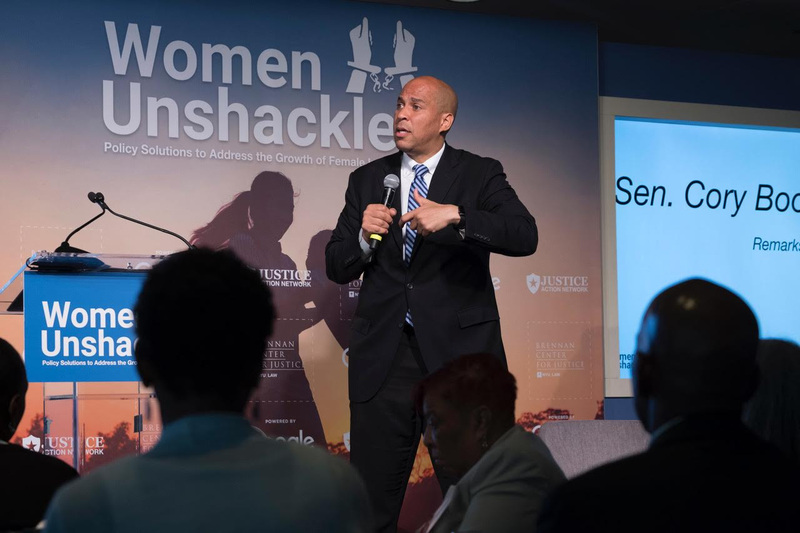 The summit comes just a week after featured summit speaker Senator Cory Booker (D-NJ) introduced legislation entitled the Dignity of Incarcerated Women Act which is targeted at improving the lives of almost 13,000 incarcerated women across the United States. 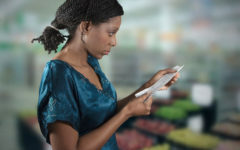 The bill is additionally co-sponsored by Senator Kamala Harris (D-CA) who opened the forum with a conversation with former Congresswoman Susan Molinari, who is the head of Washington, D.C.’s Google Office. 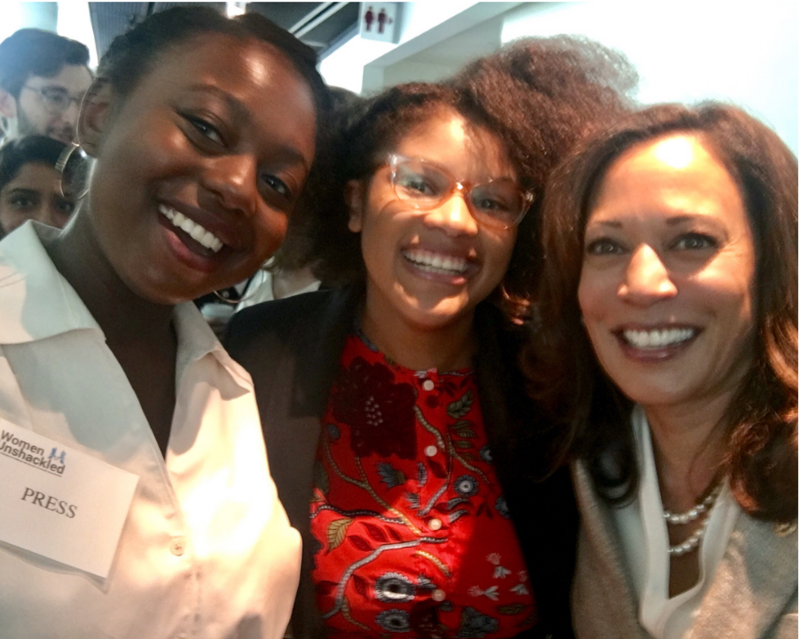 Harris, in her remarks, shed light on specific challenges incarcerated women and their families face including the inability to travel to inaccessible prisons and the economic strain high phone bill charges present. Remarks were provided by local leaders who play an integral role in passing reform in their home states including State Rep. Kim Moser of Kentucky and State Rep. Pat Smith of Louisiana. 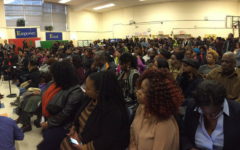 Compelling personal accounts were given by those impacted by the shortcomings of our criminal justice, advocates of the agenda, and attendees who work directly with the communities including Andrea James of the National Council of Formerly Incarcerated and Incarcerated Women and Girls, and Vivian Nixon of the College and Community Fellowship. Additional speakers included U.S. Rep. Mia Love (R-UT), U.S. Rep. Sheila Jackson Lee (D-TX), U.S. Rep. Doug Collins (R-GA), and a keynote address by Oklahoma Governor Mary Fallin.